On this question about how Hong Kong people relate to China, at the moment I can see three main positions. On the one side, to the extreme right, with “localism,” I can see that there’s a group of people—not necessarily young—who are calling for a complete rubbing out of the thought about China, and for concentrating only on Hong Kong. They say they are emphasizing the two systems rather than the one country, and that Hong Kong should bother only with what is in the interest of Hong Kong. I think for this group of people, eventually they will have to face the question: do we want independence? Or maybe this is the direction they are moving towards, and we also do see more people joining them as well. I’m not sure what that means eventually—I don’t know. And then I think there is another one that is in between, but perhaps closer to the left, and that is the younger generation coming up—but not only young people, though. They still think that it’s important to care about issues or care about China, but, at the same time, they think that it’s important for us to focus also on the development of Hong Kong. The need to care about China for them is supported by the belief in universal values. They think: “We need to care about the human rights situation in China not simply because we are Chinese, but very much because human rights anywhere else are an issue of concern.” I think this “global citizenship” kind of perspective is having quite a lot of influence. 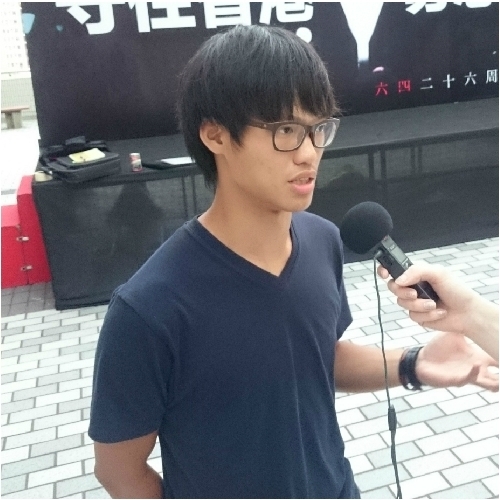 The students who are now very active in the movement, especially some of the student leaders—if you listen to what the leaders of Scholarism say, or to what the students of the Federation of Students say, you can see that kind of sentiment and values. But this universal values kind of platform could also give people some leeway at the moment to avoid facing the question of identity: to be Chinese or part of China. So, I think that this group in the middle, as the discourse develops, will eventually have to identify themselves on either side. I’m Samuel Lai. I’m the External Affairs Secretary of the Hong Kong University Students’ Union. I think the relationship between Hong Kong and China is a little bit ambiguous in most people’s eyes because, after the transfer of sovereignty back in 1997, we are under the Chinese Communist government, but we have a totally different system and different culture. So after last year’s Umbrella Revolution, people have started to doubt their identity—whether they are Chinese or Hong Kong people, or they are Chinese Hong Kongers, or Hong Kong Chinese. So I think there is a sense of identity that people have to search for. My name is Albert Ho, I am a legislator of the Hong Kong Legislative Council. I am also a founding member of the Hong Kong Alliance in Support of Patriotic Democratic Movements in China, which was set up in 1989. I have been a member of the Executive Committee for the last twenty odd years, recently I became the Chairman. The relationship of course is really tense. 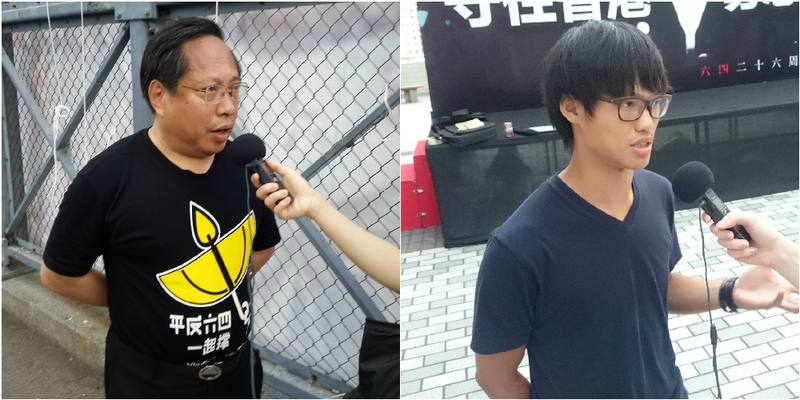 Particularly, the young people display a lot of resentment against the mainland authorities. And so, the recent doubt or skepticism about their identity as Chinese speaks volumes about this. And the pan-democracy politicians in Hong Kong—who have tremendous influence within the community—are also strongly committed to voting down the political reform package to be presented by the Hong Kong government under the authorization of Beijing. We are committed to voting it down because this electoral reform package is a fake system—it is totally against the principles of genuine universal suffrage. And so all of this has made the relationship become tenser and the tension has become ever higher. However, we hope that we can still, in the long-term, sustain the movement for democracy both in Hong Kong and in China in a peaceful, rational manner, and with solidarity and perseverance. I came to Hong Kong in 2013, in August, to start my course at the University of Hong Kong. So I finished my course one year ago, and I’m now working as a business reporter in Hong Kong. During the whole of Occupy Central and after that, the conflict between mainlanders and Hong Kongers has actually been getting worse. I admit that there are many mainlanders who are behaving very unaccountably on the streets and are very rude—if I were a Hong Konger I would be very pissed off as well. But, generally, I think a lot of mainlanders who are working here or studying here are very nice. They’re trying to change their own old or rude habits to blend into the community. Every time I had lunch with some journalists, and they started talking about the rude things that mainlanders did in Hong Kong, I felt so embarrassed, because not all of them behave the same way. Like me and my mainlander friends in Hong Kong, we try so hard to learn Cantonese, we try so hard to become a member of the community, we try so hard to know about the city, to know about its culture, its history, and to be nice to the people. But [the Hong Kongers] don’t care about that, the only thing they care about is the bad side of China, the very exciting news about China. I was raised and born in Guangdong province so I know how hard it is for Cantonese-speaking people and Mandarin-speaking people, especially people from the North, to reconcile. But I think the first step for Hong Kongers is to get to know China. Travel to the mainland—you have to go there yourself to have a look, to talk to some mainland friends instead of just ignoring them. And I think that they, especially students in the universities, should talk to each other. Mainlanders should be able to join those student communities and organizations to get to know more Hong Kongers, instead of just having two separate groups who never talk to each other. So I think that Hong Kongers should be against the political package instead of against the whole country’s people. I think none of my mainlander friends think that the political reform package is actually very fair to Hong Kongers. But China has its own reality as well. Because we are mainlanders we know how the Communist Party actually acts. It’s not like: you want democracy and they will just give you democracy. But I think it’s very important for people to stand up first, and to voice out their anger. But, in China, if you do that, you’ll probably get arrested. There’ll still be a lot of obstacles in China if they want to do what Hong Kongers do, but I would think that it’s good for some mainlanders to know that they can actually change their life. They should stand up like Hong Kongers. That thought is already important. I’m 23 years old and last September was my first time to come from the mainland to Hong Kong. But, to be honest, I know that we have many, many friends in Hong Kong, if these many, many friends trace back their family history, maybe their grandfather or their great grandfather were mainlanders. They have very, very close communication in terms of politics and business, etc. So when I heard about localist opinions, I felt a little bit hurt—because we regarded them as our brothers and sisters, but they thought we were enemies. I really respect those Hong Kong people because they would like to voice out no matter what kind of consequences are going to come. I feel very, very sad about China, because everyone keeps silent there. They never speak out with different opinions, and they never say: “We want democracy.” So the government just thinks: “Okay, we are good enough, so we don’t need to push the progress towards democracy.” But Hong Kong people said: “We want real democracy now!” They pushed the Beijing government and also the Hong Kong government to think about how to achieve this goal as soon as possible. I really respect them. 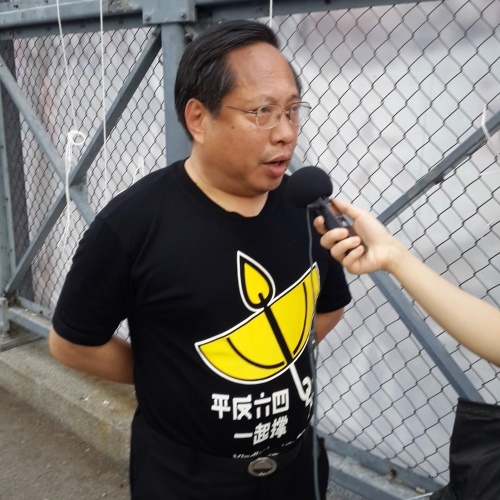 But, I am not optimistic at all, because the Umbrella Movement, you can see, actually was not only triggered by the political reform proposal but also by the hatred between mainlanders and Hong Kong people and that hatred has accumulated over many, many years. For example, those mainlanders buy some goods from Hong Kong and it really makes the society become a little bit disordered, or it will make the property prices become very, very high. After the Umbrella Movement, you can see the pan-democratic camp and pro-Beijing camp are two groups that just cannot achieve mediation—they are just totally separate. I really don’t know, especially after the proposal was vetoed, what is the next step? Some are urging to restart the political reform, but what is Beijing’s response? We don’t know. And maybe, ok, we have another proposal. Is there going to be another Umbrella Movement if they cannot satisfy the Hong Kong people? So it’s really—I just feel—there’s no way out. I think Hong Kong people are fearless. But in the mainland, people just remain silent. This is the scariest thing, I think. So I think that’s what mainlanders should learn from Hong Kong. But what makes me feel a little bit happy is that, after I experienced the Umbrella Movement and everything here in Hong Kong, I still told many of my friends back in the mainland. They are the same age as me, and they would like to listen to my opinion. And from their response, I can feel that they are touched by the new ideas from the Hong Kong people. So, I think, although, to be honest, for our generation, especially after Xi Jinping took office, the ideological control has become tightened—for the whole generation of those young people, the education about Communist ideas has become really, really scary—still, I think they would like to accept new ideas. So I think maybe, to some extent, our generation can really influence China’s society, we can make some change. HRIC Close: Thank you for listening. To learn more, read the special issues on Hong Kong and mainland China in China Rights Forum, HRIC’s online journal. Please also join the conversation, and email us at hrichina@hrichina.org.